Stainless steel appliances have long been considered a staple of commercial kitchens for their utility, low maintenance, and longevity—all the while looking sleek and new even after years of use. And while they cost more than appliances made of plastic and other petroleum-based materials, their benefits make them the preferred choice of a growing number of homeowners. Below are a few reasons to make the switch to steel. Stainless steel is an alloy made of iron and chromium. It is durable and corrosion-resistant due to a thin film of chromium-rich oxide that forms naturally on the surface of the steel called the ‘passive layer.’ This film not only protects stainless steel appliances from corrosion, but also from scratches, fading, and discoloration, which can keep them looking like new for a long time. Because stainless steel has a smooth, non-porous surface, cleanup is a cinch. 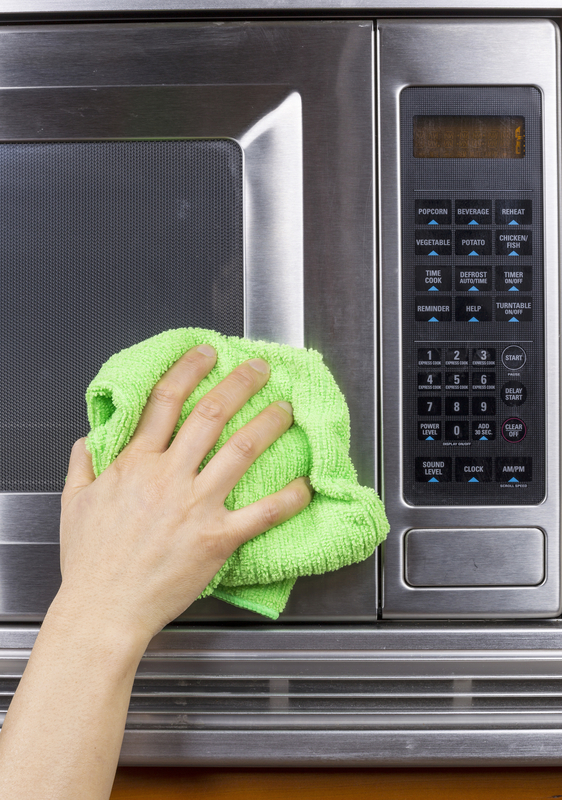 Just use mild soap diluted in warm water and a clean cloth to wipe down any spills and stains on the surface. Specialized cleaners and polishers can be used as well. Another upside to stainless steel appliances is their high resistance to germs and bacteria, making their surfaces more hygienic than wood or plastic. Stainless steel appliances have a sleek, modern look and feel to them that traditional appliance materials can’t match. Their clean, neutral design means that they can blend in smoothly with any decor, whether it be traditional with wooden and stone elements, or modern with glass and ceramic fixtures. As more stainless steel appliances become available, it’s easy to find items with the same finish. Homes that come equipped with fridges, stoves, microwaves, and other appliances made of stainless steel sell faster and at higher prices than homes that don’t. That’s because stainless steel is not only durable, but it has an aesthetic appeal that is desired by many homebuyers. For high-quality stainless steel appliances, look no further than American Metal Supply. Serving clients in Louisville, KY, and Cincinnati, OH, they are the leading metal supplier and steel distributor in both regions. They offer outstanding metal processing and carry an array of galvanized sheets, stainless steel, cold finish, and more. Call (502) 624-4321 to get a quote or send inquiries through their revamped website.